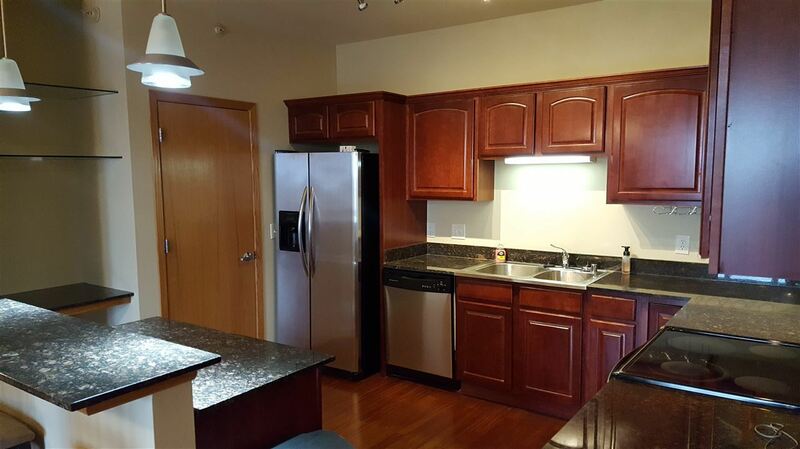 Beautiful, spacious top floor condo- in excellent condition. Two bedrooms and two baths with full master en suite, and walk-in closet. Extra deep windows with sunset views overlooking green space and park, window coverings included. Open concept architecture and vaulted nine foot ceilings. Granite counter tops, Brazilian hardwood, ceramic tiles, island with breakfast bar, walk in pantry, stainless steel appliances, washer/dryer, underground heated parking space and extra surface parking. Short drive to Epic, shopping, Ice Age Trail and parks. UHP Home Warranty included for peace of mind.